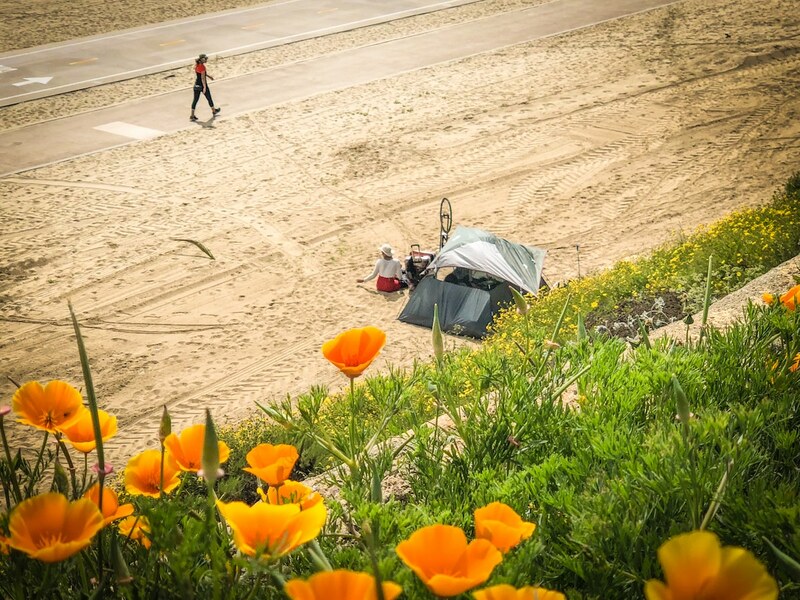 A homeless encampment in Alamitos Beach sits along the pedestrian and bike path. Photo by Brian Addison. If you call 911 to report issues related to homelessness in the next few months, you may be routed to a new special Homeless Services Call Taker. The public often calls 911 to report issues with homelessness and while safety dispatchers are trained on safety protocols, they aren’t trained in the resources the city offers to the homeless. In a partnership between the Department of Disaster Preparedness and Emergency Communications and the Health Department, the city is implementing a pilot program for a call taker who will give information to non-emergency callers regarding homeless issues, according to a city council memo from the two departments. The call taker will be at a workstation within the 911 call center. “Under the pilot program, (dispatchers) will transfer non-emergency calls for service to (the homeless services call taker) regarding a homeless issue when they believe the calling party could benefit from a more in-depth conversation and/or referral to other homeless services,” the memo said. But, if during that conversation the situation escalates to an urgency, the call taker will transfer the call immediately back to emergency dispatch. The program starts on Feb. 11 and ends April 7, with the new call-taker handling non-emergency calls for service on Mondays, Wednesdays and Fridays from 6 to 10 p.m. All other times, non-emergency calls related to homeless issues will be referred to the Multiservice Center Hotline, where callers who request a call back will get one.